Overlooking the vast golf course of Tolly Club and the Royal Calcutta Golf Course, Ideal Greens is located at Golf Gardens in Tollygunge, one of the most convenient locations in South Kolkata. Conceived as a 'Green' project, this premium Kolkata property is spread over 11.7 acres with a massive 82% project space dedicated to open landscaped green spaces that will also include a large natural water body. Ideal Greens offers 2, 3 and 4 bedroom apartments spanning 1220 - 2160 sft over 10 apartments towers ranging between G+14, G+15, G+16 and G+18 floors. It also offers a wide range of modern lifestyle amenities that includes club, pools, Jacuzzi, banquet lawn, cricket field and others. 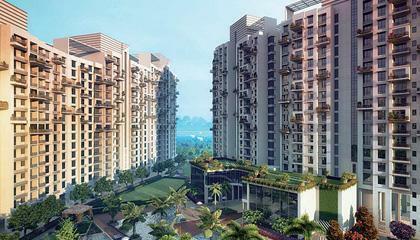 Ideal Greens has been designed by the world famous architect Hafeez Contractor from Singapore. The landscaped have been designed by the LSA Group from USA. Ideal Greens is located on the Prince Golam Mohammad Shah Road at Golf Gardens in Tollygunge, minutes walk from Tolly Club and RCGC. Being in one of the most convenient South Kolkata locations, Ideal Greens enjoy proximity to major roads, metro stations and other transit points that makes any corner of Kolkata easily accessible. A number of educational and medical facilities, shopping and leisure destinations are also in the vicinity. Since its inception in 1982 the IDEAL Group has developed a firm footing in the business arena with its successful ventures in Real Estate, Automobile Dealership, Logistics and Minerals. They have their offices at Kolkata, Jamshedpur, Muzaffarpur, Surat, Dahej, Gandhidham, Udaipur, Wani, Nagpur, Chennai, Vijaywada, Wardha and Mumbai & many other cities. Some of their successful projects are Ideal Plaza, Ideal Towers, Ideal Apartments, Ideal Gardens, Ideal Point and Ideal Residency. 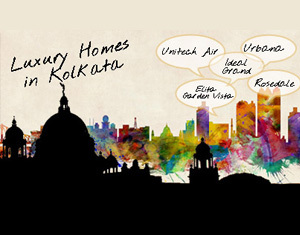 View other projects of Ideal Real Estates Pvt. Ltd.